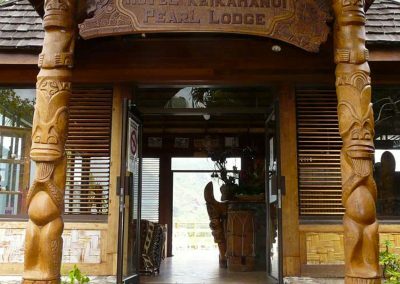 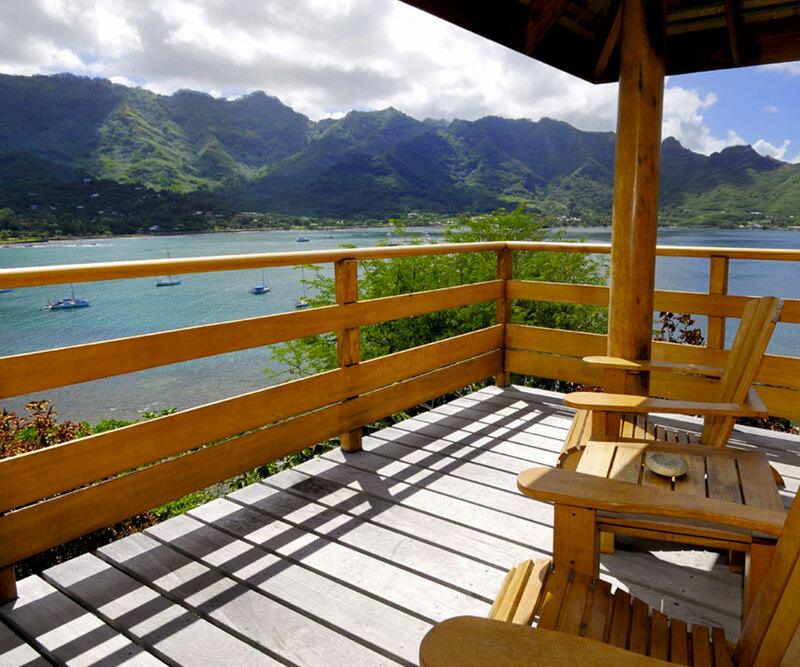 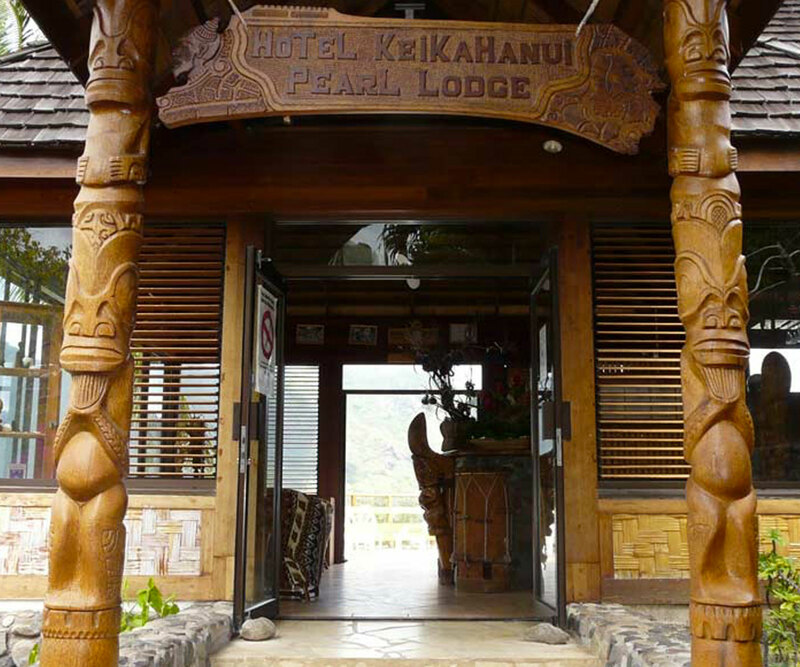 The Nuku Hiva Keikahanui Pearl Lodge overlooks the bay and village of Taiohae and the black sand beach located fifty steps below. 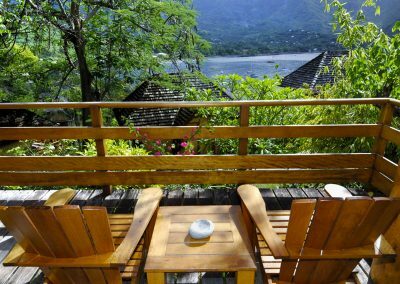 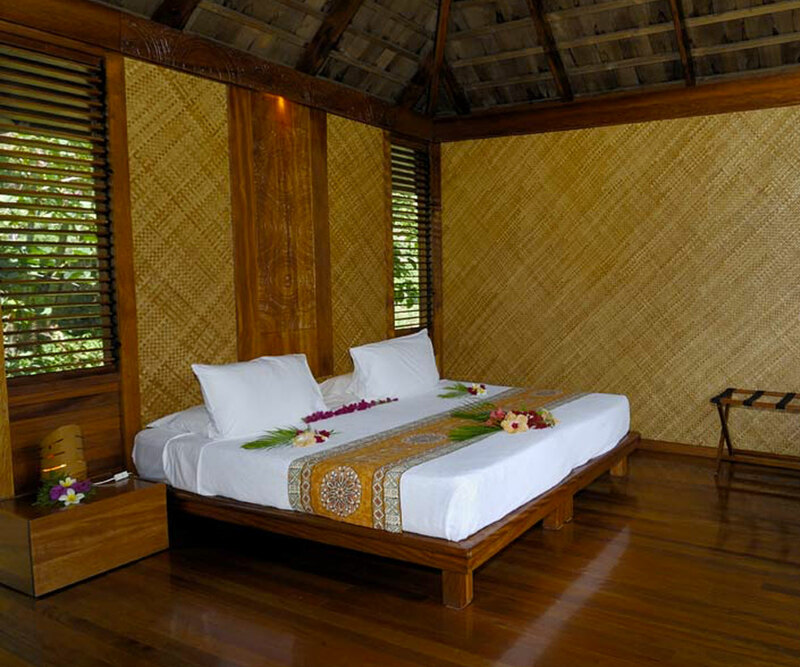 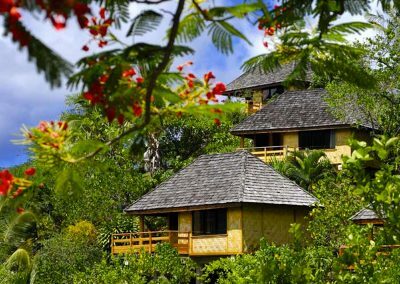 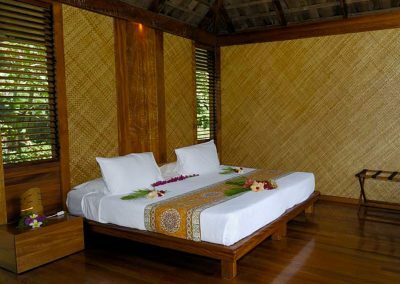 The hotel offers 20 bungalows, all with panoramic terraces from which to enjoy the awe-inspiring views. 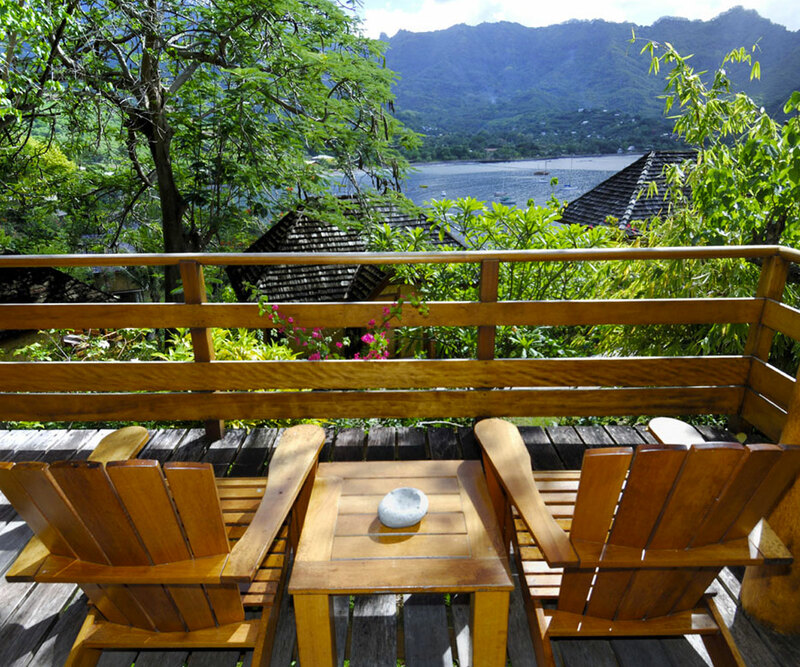 Each bungalow integrates local artistry and materials along with combining the typical atmosphere found in the Marquesas with modern comfort. 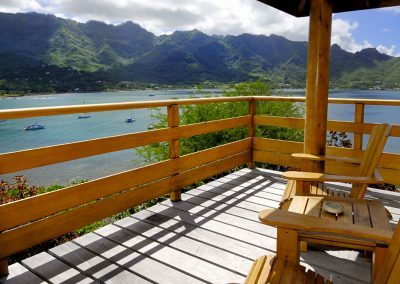 Explore the culture of the Marquesas with organized excursions which allow one to share, understand and appreciate the beauty of Nuku Hiva. 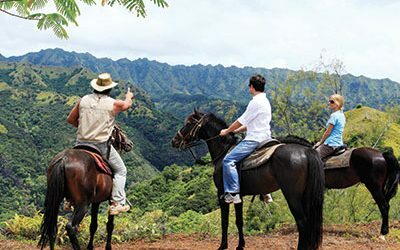 Hike, walk or bicycle in the spectacular landscape, horseback ride through the coconut groves arriving at a plateau with breathtaking views, discover the fascinating archeological sites, scuba dive with a hammerhead shark, take a four wheel drive photo safari tour into the interiors of the lush mountains and valleys or take a day trip by boat to the beautiful Hakaui Valley with the highest waterfall of French Polynesia. 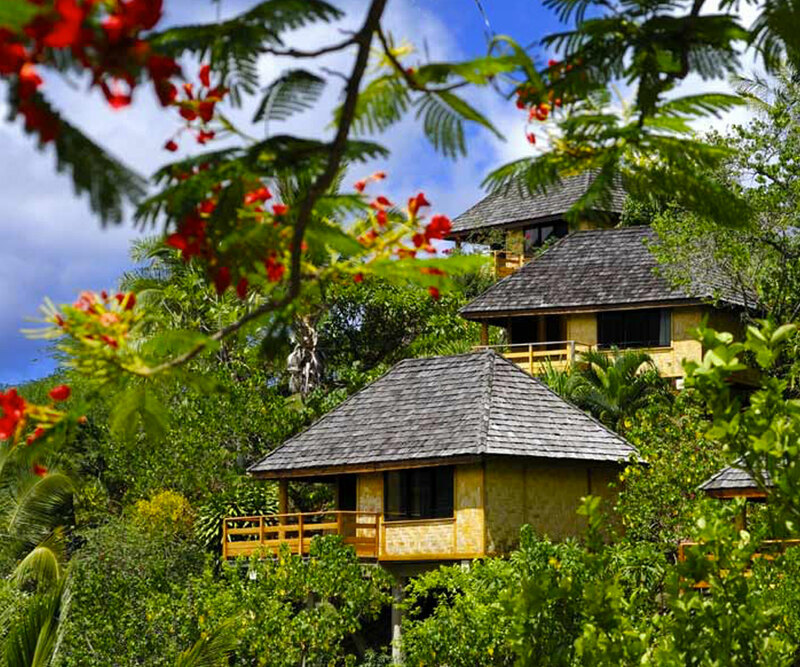 These experiences allow you to discover the beautiful and mysterious life of the Marquesas.